In Ether 12, the prophet Moroni told the Lord he was worried that the Book of Mormon might not be as good as he had hoped because of his own imperfections and weakness in writing. In response, the Lord told Moroni that, “if men come unto me I will show unto them their weakness. I give unto men weakness that they may be humble; and my grace is sufficient for all men that humble themselves before me; for if they humble themselves before me, and have faith in me, then will I make weak things become strong unto them” (Ether 12:27). Understanding this verse can help all of us know how to access God’s help and allow Christ’s grace to support us through our difficulties in life. Helaman, for example, stated that “God will deliver us, notwithstanding the weakness of our armies” (Alma 58:37). In this passage, Helaman makes it clear that he is not referring to one specific weakness that everyone in his army shared. Rather, he is commenting on the fewer number of soldiers in his army compared to the size of the Lamanite army. This concept appears to be what Moroni was referring to in Ether 12 as well. Moroni stated that, compared to the Jaredite writings, “when we [the Nephites] write we behold our weakness, and stumble because of the placing of our words.” The Lord responded, “Fools mock, but they shall mourn; and my grace is sufficient for the meek, that they shall take no advantage of your weakness” (Ether 12:25–26). Christ told Moroni that if men would come unto Him, He would show them their “weakness.” Some might assume this means that Christ would show us our weaknesses. Notice, however, that the Lord uses the word weakness not weaknesses. In fact, Book of Mormon authors never used the word weaknesses. Instead, they use the word weakness, not to talk about a specific weakness that a person might have, but about the condition of being weak: weak-ness. Looking at Ether 12:27 with the verse from Alma in mind, it becomes clear that He is talking about the weak-ness that all people experience in mortality, not specific weaknesses that God gives us. The Lord allows people to experience this weakness associated with mortality, “that they may be humble” (Ether 12:27). The Lord then clarifies that this humility is essential if we want to experience grace in our lives: “my grace is sufficient for all men that humble themselves before me” (v. 27). It is significant that the text does not simply read, “and my grace is sufficient for all.” Christ’s grace is only fully effective in the lives of all those “that humble themselves before” Him. In the Old Testament, the concept of grace also carried with it the idea of strength. One sees this in Nehemiah 9:32 where the Hebrew word for God’s grace is used in parallel with God being “the great, the mighty, and the terrible God,” emphasizing power and strength as part of grace. 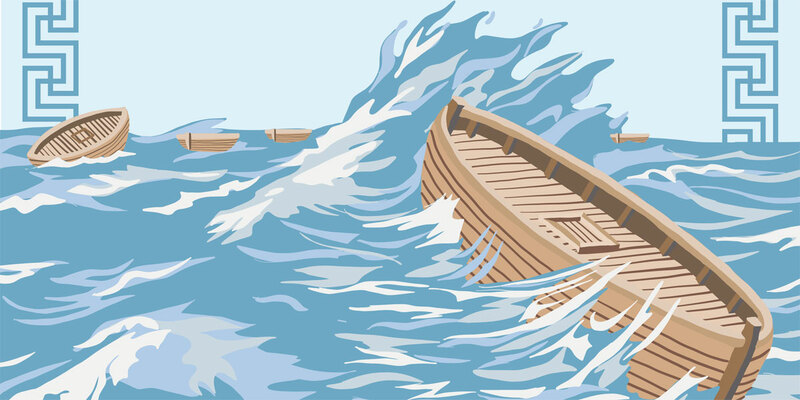 One can also see this concept in Jacob 4:6–7, which states that those with appropriate faith “can command in the name of Jesus and the very trees obey us, or the mountains, or the waves of the sea.” Thus, when Moroni states that weak things can become strong through grace, it is because grace itself is associated with strength. Ultimately, “as we come to Him in faith, the Savior will strengthen us to bear our burdens and accomplish tasks that we could not do on our own.” If we will humble ourselves and come to Christ, he will help us to overcome our “weak-ness” through His grace and power. Because grace is so closely connected to strength, we can all be strengthened by the grace of Christ, and have faith that we as “weak things” can become strong. Sharing a covenant relationship with the Lord gives us access to abilities beyond our own capacity, through his might and mercy. Whitney Clayton, “That Your Burdens May Be Light,” Ensign, November 2009, 12–14. For a thorough discussion of this verse, see Carolyn J. Rasmus, “Weak Things Made Strong,” in Fourth Nephi Through Moroni, From Zion to Destruction, ed. Monte S. Nyman and Charles D. Tate, Jr., Book of Mormon Symposium Series, Volume 9 (Provo, UT: Religious Studies Center, Brigham Young University, 1995), 251–262. Eldin Ricks’s Thorough Concordance of the LDS Standard Works (Provo, UT: FARMS, 1995), 829. Royal Skousen has noted that the following verse explains that the love of God brings people to Christ and helps them to overcome the weakness of mortality. See Royal Skousen, Analysis of Textual Variants of the Book of Mormon: Part Six, 3 Nephi 8 – Moroni 10, 2nd edition, The Book of Mormon Critical Text Project, Volume 4 (Provo, UT: FARMS and BYU Studies, 2017), 3970–3971. Joseph Fielding McConkie, Robert L. Millet, and Brent L. Top, Doctrinal Commentary on the Book of Mormon, 4 vols. (Salt Lake City, UT: Bookcraft, 1987–1992), 4:212–213. The verse specifically notes that this is the grace of Jesus Christ, while the Book of Mormon sometimes refers to the grace of God more generally. See Stephen E. Robinson, “Grace,” in Book of Mormon Reference Companion, ed. Dennis L. Largey (Salt Lake City, UT: Deseret Book, 2003), 306. Brent J. Schmidt, Relational Grace (Provo, UT: BYU Studies, 2015), 149. See Isaiah 40:6, where the word chesed is translated as “goodliness” in the King James Version, and refers to the strength of grass: the next verse notes that the grass doesn’t have any strength. Bruce C. Hafen, “Grace,” in Encyclopedia of Mormonism, ed. Daniel H. Ludlow (New York, NY: Macmillan, 1992), 2:562–563. Doctrinal Mastery: Core Document (Salt Lake City, UT: The Church of Jesus Christ of Latter-day Saints, 2016), 6. M. Catherine Thomas, “A More Excellent Way,” in Book of Mormon, Part 2: Alma 30 to Moroni, ed. Kent P. Jackson, Studies in Scripture: Volume 8 (Salt Lake City, UT: Deseret Book, 1988), 276. David A. Bednar, “In the Strength of the Lord,” Ensign, November 2004, 77. I think there's an important difference. We need the experience of mortality because we're flawed and need the opportunity to be "repaired", or perfected. I would call those flaws "weaknesses". On the other hand, if we were not weak, we would most likely expect to be able to overcome our weaknesses on our own, without seeking grace. Of course we can't; we require an external agent to operate on us. Weakness and weaknesses are so closely related that I think it is a distinction without a difference. Mortal weakness includes vicissitudes (i.e. weaknesses) that could be considered a subset of weakness, but the sum of weaknesses, physical, mental and spiritual, constitute a whole: weakness. The idea that only a particular weakness for something, such as a love of chocolate, is what God is referring to is of course ridiculous. On the other hand, the idea that God specifically parcels out weaknesses to each of us is not necessarily the right reading either. He doesn't need to micromanage things to that degree, and using it as an excuse...'God gave me my weakness for chocolate so I'd be humble, so it's His fault not mine' is a mere cop-out.